Temash River in the Sarstoon Temash National Park - Source: http://www.earthisland.org/journal/index.php/elist/eListRead/indigenous_communities_challenge_big_oil_in_belize/ Photo by The Advocacy Project Temash River in the Sarstoon Temash National Park, near where US Capital Energy has been conducting seismic tests. In 1994, the government of Belize converted an area of roughly 17,000 hectares of Maya ancestral land into the Sarstoon-Temash National Park, without holding a consultation of the Maya people residents. However, the majority of local communities quickly embraced the protected status of their land. After the conversion, the government of Belize took another turn and opened up the national park for oil exploration by a Belize-owned subsidiary of the company US Capital Energy Inc. The communities refused this initiative, pointing out the lack of consultation. The resistance against the oil exploration activities was carried out by local residents in different ways. On the one hand, communities advanced local indigenous conservation models within the park. On the other hand, they started to challenge oil permits and exploration through Belize's legal system. In 1997, the Sarstoon-Temash National Park Steering Committee was created and later became the Sarstoon-Temash Institute for Indigenous Management (SATIIM) which represented different Mayan communities in their legal battle against the drilling. Following their creation, a number of important legal decisions were handed down. The Inter-American Commission on Human Rights (IACHR) issued a report in 2004, which recognized the Maya people's rights to land traditionally used and occupied in Toledo and found that the government of Belize was violating these rights under international law. In 2007, the Supreme Court of Belize confirmed the binding nature of the IACHR decision and in 2010, it also clarified the application of the 2007 judgment to Maya throughout the district and an injunction prohibiting concessions was also issued. In 2012, SATIIM was contacted by US Capital Energy to provide its views of the planned exploratory drilling activities in the park. A public consultation was held by the Department of Environment for the company's proposed activities in the area. The buffer zone communities (villages of Barranco, Midway, Graham Creek, Conejo, Crique Sarco) all wrote to the Chief Environment Officer in October 2012, and also formalized their objections to the drilling in the National Park by writing to the Hon. Prime Minister. 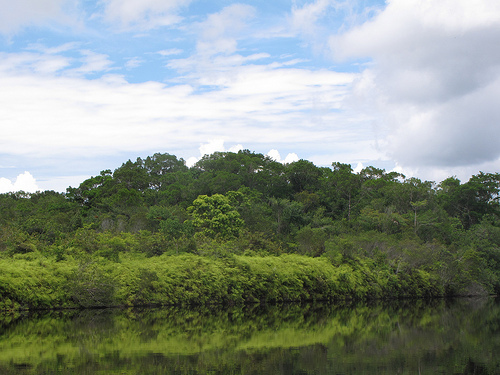 After the government of Belize had appealed the decision, the Court of Appeal affirmed Maya land rights in multiple 2013 decisions. It also concluded to struck out the Supreme Court's injunction against government interference with Maya ancestral land. In its latest decision in April 2014, the Supreme Court of Belize ruled that the permits granted to US Capital Energy for oil drilling and road construction were unreasonable and unlawful. Although this was considered a success for the Maya leaders alliance and SATIIM, the Supreme Court did not explicitly render the permits void. As they were set to expire at the end of April 2014, US Capital Energy announced its intention to carry out the drilling activities nevertheless, and the Government of Belize has since then waived the expiration date of the permits. Following the ruling, several public protests were organized by Maya communities of Toledo district. Despite the legal victory of SATIIM and the local communities, US Capital Energy has begun drilling inside the Sarstoon-Temash National Park in Toledo district in September 2014. Project Details US Capital Energy's project is still in its exploration phase. Drilling activities in the Sarstoon-Temash National Park have just recently begun. Expiration dates of the permits granted by the Belize government to the company have been waived and not been rendered explicitly void by the Supreme Court. The company has vowed to continue its drilling activities. Why? Explain briefly. Despite the 2014 Supreme Court decision, drilling activities in the Sarstoon-Temash National Park have recently begun. Expiration dates of the permits granted by the Belize government to the company have been waived and not been rendered explicitly void by the Supreme Court. The company has vowed to continue its drilling activities, even though the local Maya communities still oppose the project. Temash River in the Sarstoon Temash National Park, near where US Capital Energy has been conducting seismic tests.